Celebrate Master Stylists' 30th Anniversary! 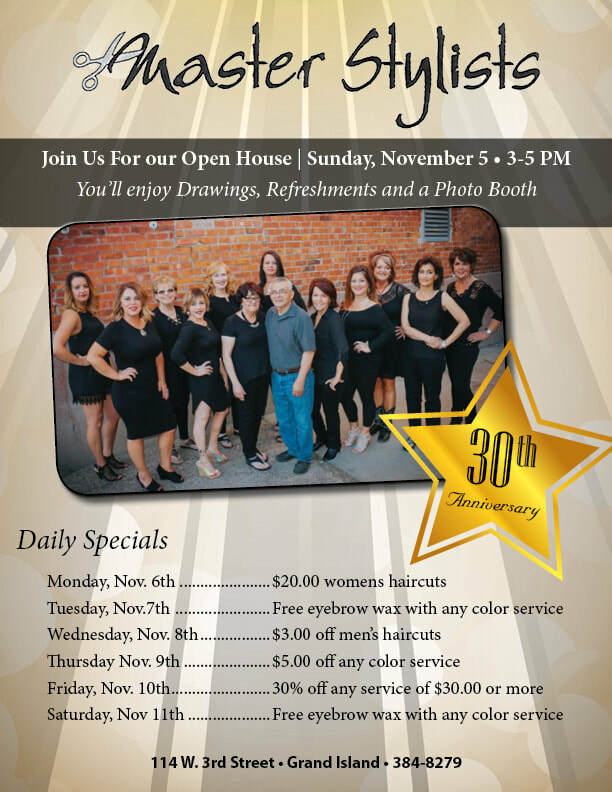 Master Stylists is bringing you specials all week long so you can help us celebrate our 30th Anniversary. ​Call today to ensure your spot!